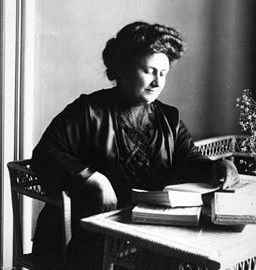 Dr. Maria Montessori (1870-1952), the Italian physician who formulated this method, had a particular genius for observing children as they were rather than as adults wished them to be. She believed that no human being was educated by another person. “He must do it himself or it will never be done”. A truly educated individual continues learning long after the hours and years he spends in the classroom as he is motivated from within by a natural curiosity and love for knowledge. Dr. Montessori felt that the goal of early childhood education should therefore, not be to fill the child with facts from a pre-selected course of studies, but rather to cultivate his own natural desire to learn. She further believed that a child manipulates, handles, tries, repeats, investigates and seeks to master as much of his environment as he can, primarily for the pleasure of such activity. Learning can be intrinsically enjoyable, and small children learn voluntarily when their efforts are not distorted by pressure, competition, rewards, punishment or fear.